At Scott Trial Lawyers A Professional Corporation, our clients in San Diego and El Centro, California, are brought into our law offices as family. Suffering a personal injury may be one of the most debilitating experiences of someone's life. Accordingly, we believe in fighting for our clients the way we would if they were one of our own family members. As aggressive litigators, we represent the "little guy" against insurance providers, corporations and anyone else who has caused harm. Thanks to our relentless pursuit of justice, we have obtained favorable verdicts and settlements in cases that involve matters such as brain injuries, wrongful death and car accidents. The attorneys at our law offices consult with law enforcement officers, medical doctors and other professionals to build the strongest possible case on our clients' behalf. 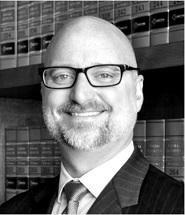 The founder of our law offices, Timothy A. Scott, holds an Avvo "Superb" rating and has been selected for inclusion in Super Lawyers list. More importantly, he and the rest of our team have a proven track record of helping our clients reach a positive outcome. Scott Trial Lawyers A Professional Corporation offers free initial consultations. We also handle criminal defense cases.